We are the leading manufacturer of Male Connector and Female Connector Accessories. Female Connectors are used in the piping tube of female pipe thread fittings. We fulfil the demands of pipes and plumping industry by offering finest quality female connectors. The product is used to connect different pipes and allows easy flow of liquid through it. 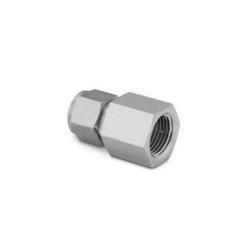 Male Connector is a type of widely used tube fittings to provide the leak proof, the torque-free seal at various tubing connections and prevent costly and hazardous leaks in process tubing. 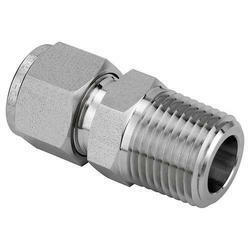 We manufacture dimensionally accurate male connector. We are specialized in offering a wide range of male connectors that are available in various sizes and dimensions.